Young people in London have contributed to the production of a distinctively British rap culture. This book moves beyond accounts of Hip-Hop’s marginality and shows, with an examination of the production, dissemination and use of rap in London, how this cultural form plays an important role in the everyday lives of young Londoners and the formation of identities. 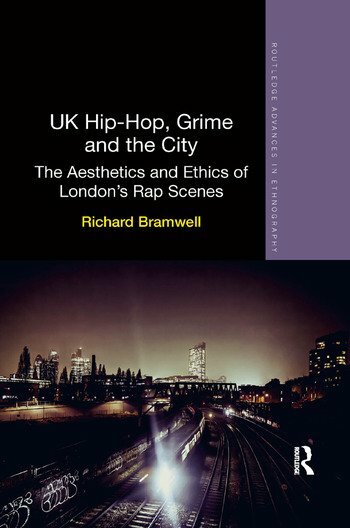 Through in-depth interviews with a range of leading and emerging rap artists, close analysis of rap music tracks, and over two years of ethnographic research of London’s UK Hip-Hop and Grime scenes, the author examines how black and white urban youths use rap to come together to explore their creative abilities. By combining these methodological approaches in the development of a critical participant observation, the book reveals how the collaborative work of these urban youths produced these politically significant subcultures, through which they resist unfair and illegitimate policing practices and attempt to develop their economic autonomy in a city marred by immense social and economic inequalities. Introduction 1. "Revolution of a Next Kind": Building Black London from the Bottom 2. "On The Bus My Oyster Card Goes ‘Ding De Diing De Ding Ding’": Transforming the Space of London’s Public Transport 3. "I See the Glow in You": Summoning the Aura in London’s Post Hip-Hop Culture 4. "That There Kind of Sumthin’ Sounds Strange to Me": Social Representation and the Recorded Soundscape 5. From a "Junior Spesh" to the "Keys to the Bentley": The Routes of Grimey London. Conclusion: "Take Back the Scene"